Our organization was originally founded in 1969 as the Oakland Air Force. Today we are known as California Warbirds Air Museum Inc, a 501c3 Non-Profit corporation based in Hollister, California. With the support of numerous individuals and donors we have been able to educate the public through the display of our aircraft all over the west coast for 40+ years. 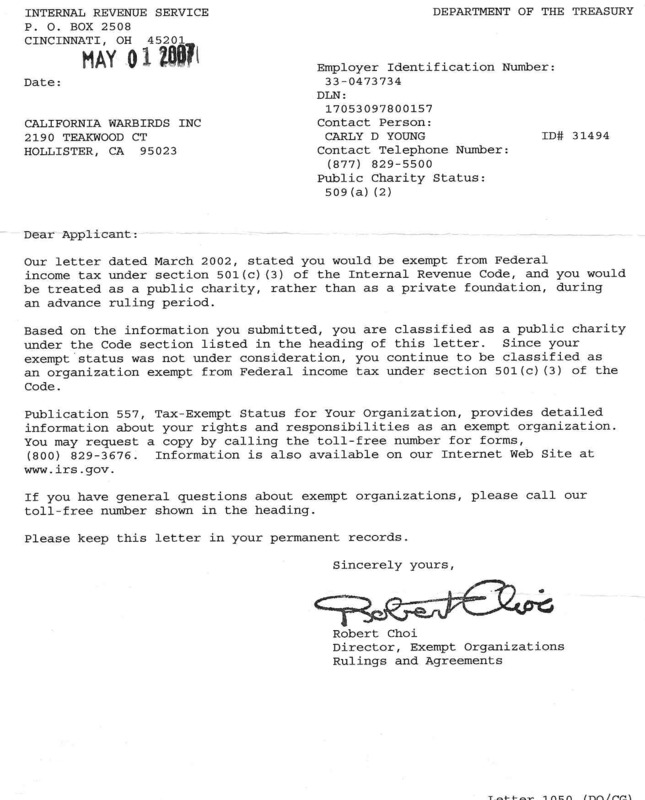 Click here to view our 501c3 certificate.